The UK single of 'Hey little girl' was already in my possession when I found this 12" single. I wasn't too surprised, then, by the sleeve which was different from the European one. I was, however, quite surprised by the track listing of this disc, as it featured an extended remix of the title track and a remix of the earlier hit single 'Can't help myself'. A good deal, I felt, since I like both tracks. The design and painting of the sleeve was done by David Storey, who also did artwork for artists as diverse as Blondie, Elton John and The Specials. 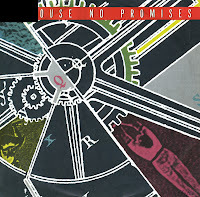 'No promises' was released as the first single from Icehouse's 1986 album 'Measure for measure' in November 1985. 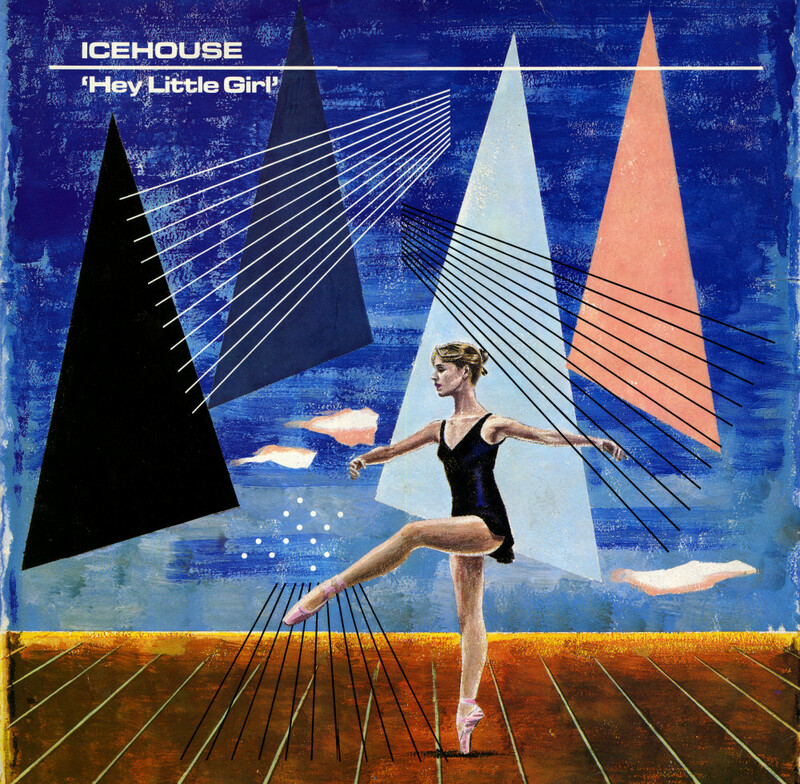 I remembered Icehouse from their 1982 single 'Hey little girl', and this single wasn't that much different from that sound. The single peaked at number 30 on the Australian singles charts and reached number 72 in the UK singles chart. In the US Billboard Hot 100 chart, the single stalled at number 79. 'I can't help myself' is the debut single of the Australian synthpop/rock band Flowers. It was released in May 1980. 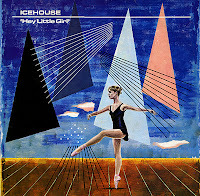 The debut album was called 'Icehouse', which later became the band name. 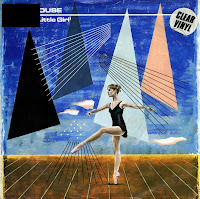 In the UK, the single was released in October 1981 under that new band name. The single did not chart outside of Australia. I picked up the single at an open air market during the free one day festival Parkpop, which is held annually on the last Sunday of June in Den Haag. The European release of 'Hey little girl' was different from the UK one. At least, that's what I concluded after I found this copy. And it wasn't just the sleeve, either: the single was pressed on clear vinyl, the title track was shorter than the one on the single I already had and the B-side was a different track as well. 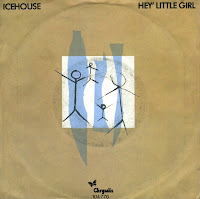 'Hey little girl' was released by Icehouse in 1982 on their album 'Primitive man'. It was the first Australian recording to feature a Linn drum machine. The single became a hit in the Netherlands in November of that year. Before that, it peaked at number 7 on the Australian singles chart. The song has a certain atmosphere that always appealed to me a lot: a bit mysterious and melancholy, somehow. It's another one of those singles which I had to search for a lot time. I ordered it a couple of times from the mailorder company 'Oldies Unlimited' in England, but it was always out of stock. 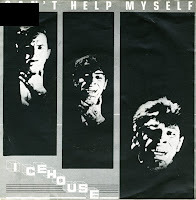 The Australian band Icehouse found fame with 'Hey little girl' and 'Can't help myself' in the early Eighties. I was very impressed with these early singles, and the later hits 'No promises' and 'Crazy' took some more getting used to after that. 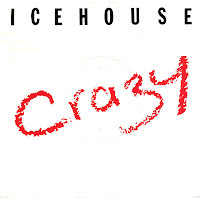 'Crazy' was drawn from their 1987 album 'Man of colours', Icehouse's best selling album worldwide. It took me many years to finally buy this single. 15 years to be exact. It's one of those singles you come across regularly and you always think, 'nah, later'. So 'later' finally happened in 2003.